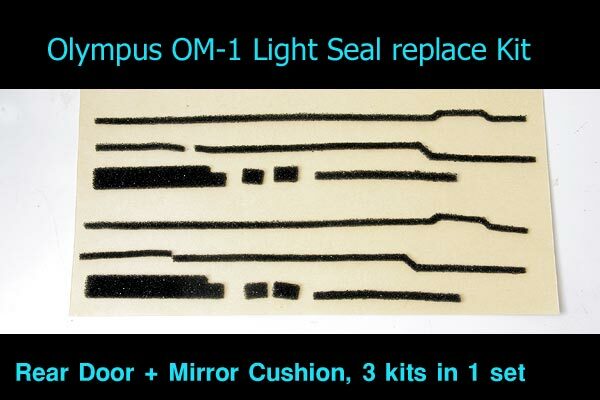 This is Olympus OM-1/OM-2/OM-4's Light Seals foam (backdoor gasket sponge and Mirror Cushion) replace kit. 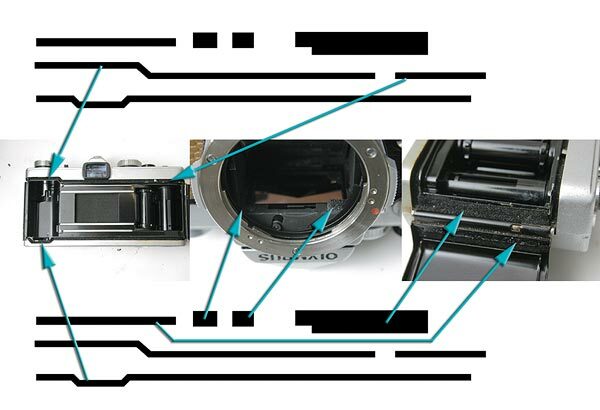 When the original light seals become old, the camera occurs light leaks and backdoor rattling. It is time to replace the new Light seals, you do not have to worry about those problems any more. This seal kit covers whole OM-1 cameras seals as below. 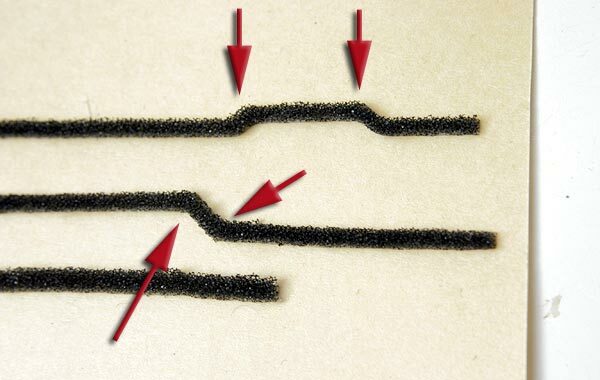 How many hours you should spend for measuring foam seal size and cut them if you do it by yourself? Actually I spent 2 hours for measuring to make datas of cutting molds. If you are experienced repairman, you will see how it is difficult to cut the foam seals like the shape as above image. This kit is already cut bend shape as above image by cutting molds. 3 foam kits are included, you do not have to worry if you waste one or two. If you are not so confident, you can use 2 kits for exercise, you can install perfectly for the 3rd time. 1,2. Remove the old light seals and clean up the residue with alcohol or benzine. 3. Take out the new light seal from the base paper. 4. Use cotton swab or paint brush and rub alcohol or water on the adhesive (sticky) side. The alcohol or water delays the adhesion and allows you time to position and adjust the seals. 5. place the seals onto the ditch. 6. Use flathead screwdriver and adjust the seals before the alcohol get dry. This kit fits to OM-1/OM-2/OM-4, does NOT fit to the other cameras.